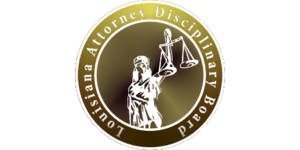 These lawyers were the subject of Louisiana Supreme Court disciplinary orders or Louisiana Attorney Disciplinary Board recommendations published during the month of September 2018. Brian K. Thompson. The court accepted a petition for consent discipline and suspended the respondent for one year and one day, fully deferred with two year’s probation. The respondent faced allegations of mishandling his client trust account and failing to supervise a nonlawyer employee. Joseph Burchman Rochelle. The court accepted a petition for consent discipline and publicly reprimanded the respondent. The respondent, while acting in his capacity as a notary, falsely certified that a donation instrument was signed in his presence. Sabinus A. Megwa. The court reciprocally suspended the respondent for thirty days, to be followed by a supervised-probation period of eighteen months. The Supreme Court of Arizona had previously disciplined the responded by consent for neglect of a client matter and failure to communicate adequately with clients. Ronald B. Manning. The court reciprocally disbarred the respondent. The State of Texas had previously disbarred the respondent after he was convicted of first-degree felony theft. Paul E. Brown.The court suspended the respondent for one year and one day, with all but ninety days deferred and two years’ probation. The respondent pleaded “no contest” to first offense DWI, careless operation of a motor vehicle, and vehicular negligent injuring. Chantell M. Boutté. The court disbarred the respondent. The respondent neglected legal matters, failed to communicate with her clients, converted client funds, failed to properly disclose client trust account information, and failed to cooperate with the ODC in its investigation. Phyllis Southall. The court accepted a petition for consent discipline and adjudged the respondent responsible for additional violations that the court will consider if she applies for reinstatement from her current suspension. The respondent neglected a legal matter, failed to communicate with a client, mishandled her client trust account, and failed to return unearned fees, all of which occurred during the same time as the misconduct that resulted in her current three-year suspension. Shelley Ann Martin. The court disbarred the respondent, retroactive to the date of her interim suspension. The respondent possessed drug paraphernalia commonly associated with heroin, possessed cocaine, engaged in a sexual relationship with a client, introduced that client to drugs, and represented the client while ineligible to practice. In addition, the respondent was involved in a motor vehicle accident while driving with a suspended driver’s license and is a fugitive with multiple warrants outstanding for her arrest. Jules B. LeBlanc, III. The court transferred the respondent to disability inactive status. John N. Bokenfohr. The court dismissed the formal charges filed by ODC against the respondent. The respondent’s client refused to produce evidence in response to a search warrant in a criminal investigation. Three months after the respondent learned of the existence of the evidence, the respondent was able to convince the client to release the evidence. Alicia Johnson Butler. The board recommended that the court suspend the respondent for one year, followed by a one-year period of supervised probation. In addition, the board recommended that the ODC audit the respondent’s trust account and that the respondent attend LSBA Trust Accounting School. The respondent improperly handled settlement funds by depositing them in her account instead of placing them in trust or in the registry of the court. Michael Keith LeBlanc. Hearing Committee #55 recommended that the respondent be permanently disbarred. 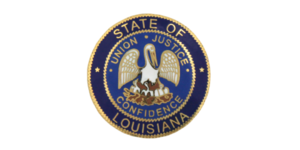 The respondent faced allegations of embezzlement and forgery in Mississippi while suspended by the Louisiana Supreme Court. Quiana Marie Hunt. Hearing Committee #37 recommended that the respondent be suspended for one year and one day. The respondent commingled and converted client funds after mishandling her client trust account. George A. Flournoy. Hearing Committee #6 recommended that the respondent be suspened for eighteen-months, with all but 60 days deferred. The respondent caused or allowed his client’s signature to be forged on a document, charged and collected an unreasonable fee, and failed to properly communicate with his client regarding the status of the client’s case. Arthur Gilmore, Jr. Hearing Committee #35 recommended that the respondent be conditionally readmitted. The respondent had been disbarred after a conviction for racketeering. John E. Settle, Jr. Hearing Committee #17 recommended that the respondent be suspended for three years, retroactive to the date of the his interim suspension. The respondent engaged in the unauthorized practice of law. So when will the ABA begin to hold prosecutors accountable for their actions, which in effect puts them above the law. When a prosecutor deliberately and maliciously prosecutes a defendant in a case that he knows or should have known to be totally based on false accusations, he/she should have consequences. More should be said about this under Devereaux so that a common person could understand that a prosecutor can be held accountable, but it should not have to be done under civil limitations. One thought that the former head of FBI NOLA had was to term limit DAs and Sheriffs.